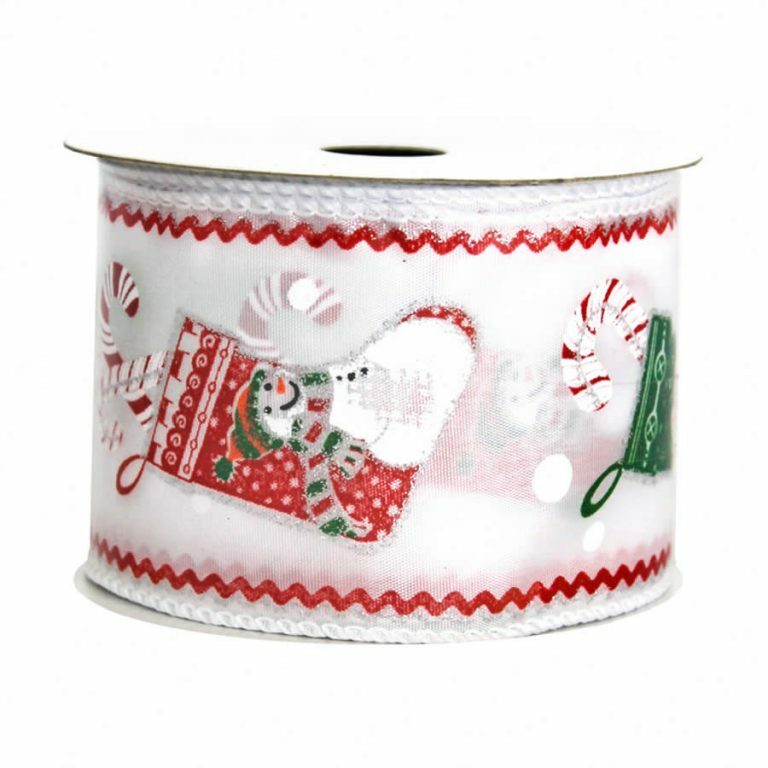 For a classic Christmas look, the Gold Holly Leaf Ribbon offers 9-metres of rich, luxurious ribbon. 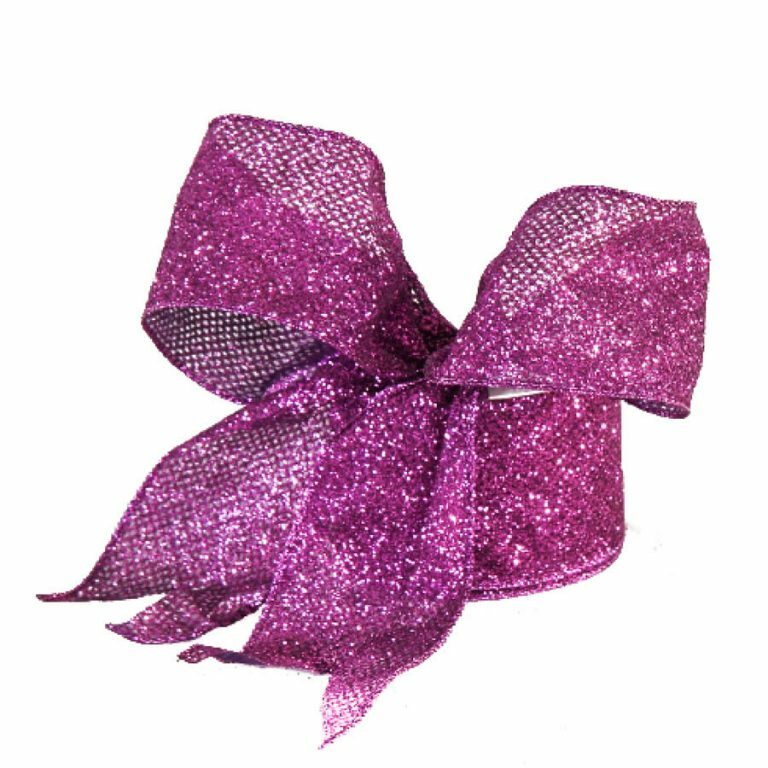 The wide size, approximately 7cm, is edged with wire to help your creations hold their shape during use, as well as while you are making them! 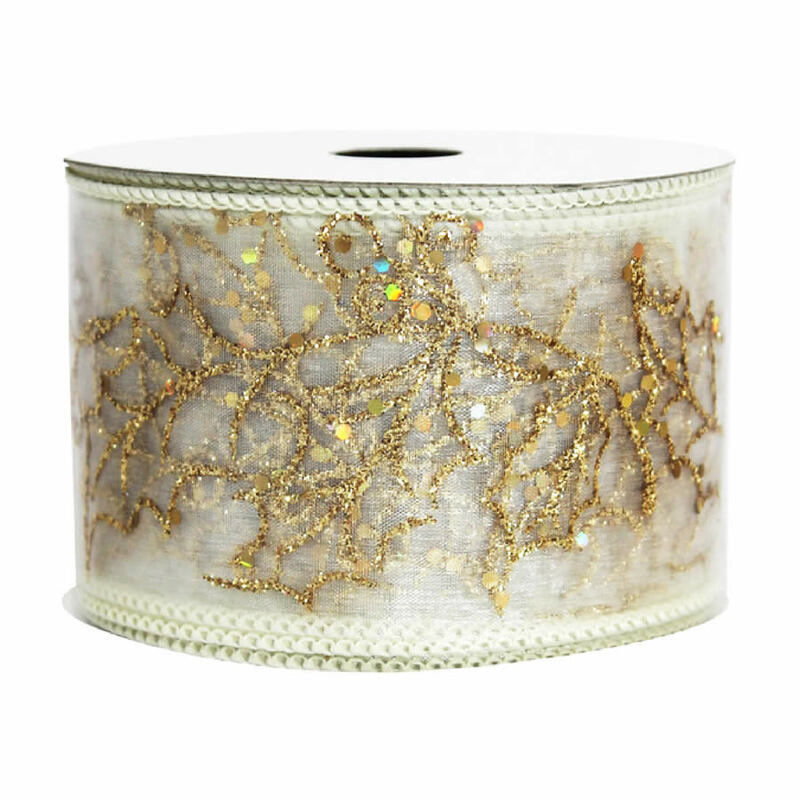 The real difference with this ribbon, however, is the sequined gold accents that cascade across the facade of each length of the Gold Holly Leaf Ribbon. These tiny details pick up the light, and sparkle and shine, which will give your projects allure and dimension. 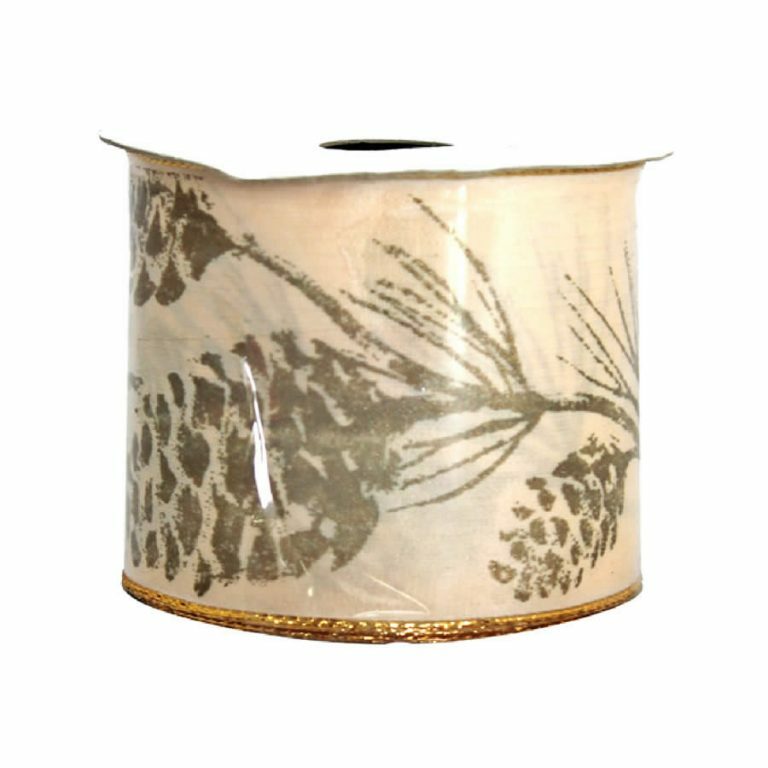 The sheer ivory ribbon is the ideal back-drop for these golden baubles which comprise the outline of the holly and leaf motif. 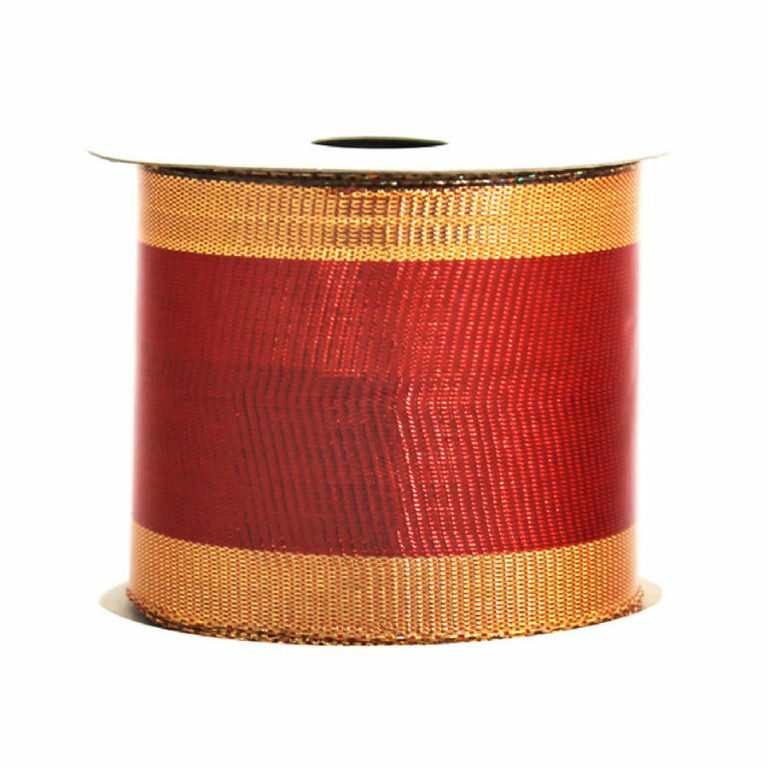 This ribbon is stunning when paired with gold, and would be a magnificent accent for a tree or wreath decorated with gold ornaments and pure-white LED lights.